The Delta State Governorship Election Petition Tribunal has granted the gubernatorial candidate of the All Progressives Congress (APC) in Delta State, Chief Great Ogboru, leave to serve Governor Ifeanyi Okowa with his election petition through substituted service. The petitioner, Chief Ogboru dragged Okowa to the tribunal shortly after the March 9, 2019 governorship and Houses of Assembly elections were concluded, asking the court to cancel the election over irregularities and declare a fresh election within 90 days. 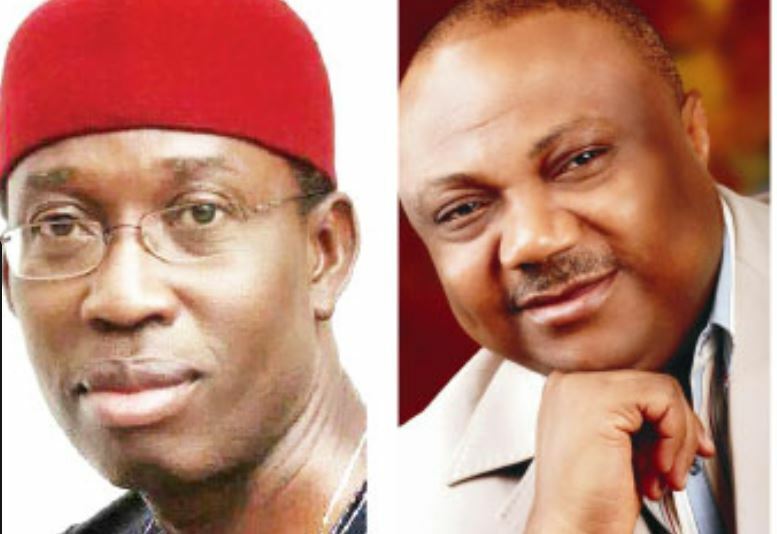 Ogboru, first petitioner, and his party, second petitioner, in the petition marked EPT/DT/GOV/01/2019, claimed that Okowa, the defendant, had been elusive, and therefore, prayed the court to grant alternative means to serving him. In the suit, dated March 25, 2019, filed on March 31, 2019, the Peoples Democratic Party (PDP) and Independent National Electoral Commission (INEC) were the 2nd and 3rd defendants, respectively. Ogboru cited series of evasiveness by Governor Okowa to personally receive the petition. Chairman of the tribunal, Hon. Justice Suleiman Belgore, granted the request for substituted service on the 1st defendant. Upon reading the motion ex-parte and the affidavit deposed to the court by a close associate of APC, and after the submissions of the counsel to Ogboru, TieTie O., Justice Belgore ruled that; “It is hereby ordered that the 1st respondent, Dr. Ifeanyi Arthur Okowa, be served the petition and other processes by substituted means to wit: service through the Secretary of the Peoples Democratic Party (PDP), Delta State chapter.